How exactly do you go about finding God so you can receive rest? For better or for worse, the answer remains elusive for many of us. Some choose to ignore it and settle into life’s natural rhythms,but the adventurous among usembark on life-long journeys to find the answer. We call these adventurous people pilgrims. The word pilgrimage comes from two Latin words: per ager, which means “to go through the field,” and peragrinum, which means “one from foreign parts.” Therefore, a pilgrim is someone who travels through foreign fields. But what about the people who never have the opportunity to leave their homeland? Can’t the label “pilgrim” be available to the ordinary person who journeys through life’s peaks and valleys? This is why the Protestant Reformers in the 16th century chose to emphasize the inner spiritual journey rather than a physical one — which, at the time wreaked of a decadent medieval Christianity that promoted works or shrines above faith. Though most shrines in Protestant Europe were destroyed in the 16th century, pilgrimages didn’t disappear. Whether outer physical journeys to particular places or inner spiritual journeys, the idea of moving through life as a pilgrim remains as strong as ever. Pilgrim destinations dedicated to Mary, the mother of Jesus, may be the most common theme among Catholic pilgrimages. Fatima, Portugal is no exception. It is believed that the Virgin Mary appeared to three shepherd children on the 13th day of the month for five consecutive months in 1917. 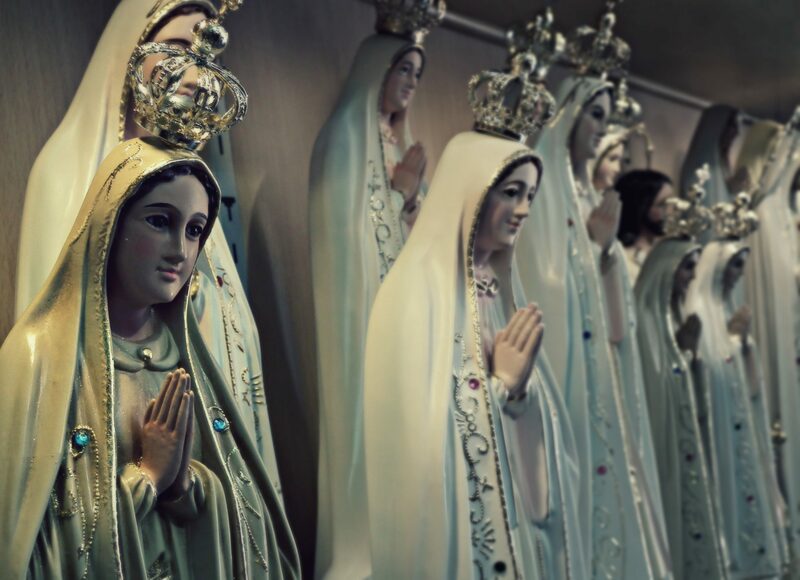 Fatima has become one of the most popular pilgrimage destinations in the world, with some estimates at four million visitors each year. Although this is not a terribly well known pilgrimage route — it was, after all, established in 2004 — it does travel along one of the most famous expeditions in Christian history: Paul’s first missionary journey. The trail is 500 km long that covers part of Paul’s journey through the southern Turkish countryside from Perge near Antalya on the Mediterranean, past Lake Egirdir. Although Pilgrim’s Regress is not one of CS Lewis’ greater known works, it is one of his most autobiographical works — second only to Surprised by Joy. The book is a play on John Bunyan’s Pilrgim’s Progress and tells the story of the “Everyman” named John who travels or “regresses” through the worldly philosophies of the North (Reason) and the South (Romanticism), in search of an island that he intensely longs for. Only he finds God instead. Fun fact: There were approximately six million people who travelled to Pope John Paul II’s funeral in St. Peter’s Basilica in April 2005 — the second largest pilgrimage in Christian history — but (apparently) not one reported incidence of pickpocketing. The Way of a Pilgrim is the account of an unidentified 19th century crippled Russian who travels across Russia seeking instruction on the spiritual life. It is credited for bringing attention to Western, non-monastic people the practice of continuous and repetitive prayer, as well as the observance of the Jesus prayer (“Lord Jesus Christ, have mercy on me”). It is believed that the Virgin Mary appeared to a peasant girl in Lourdes on 18 occasions over a period of months in 1858. A grotto in Lourdes where Mary first appeared has accounted for many physical and spiritual healings. Every year about 400,000 pilgrims bathe in the pools. The Holy Land is probably the most famous and most controversial pilgrimage destination in the world. It has always been a place pilgrims have travelled to and fought over. Perhaps the most damning of these fights were the medieval crusades, sparked by the mistreatment of Christian pilgrims to the Holy Land. Our Lady of Guadalupe is the title given to the Virgin Mary after she was believed to have emblazoned herself on a peasant’s cloak in 1531. Pilgrims who travel to see the image believe that the Virgin of Guadalupe can cure almost any sickness. Many pilgrims also crawl or walk on their knees across Basilica square to the church that was built in honour of Mary’s apparitions. Also known as “The Way of St. James,” this pilgrimage in the northwestern region of Spain is probably the most famous modern day pilgrimage route. First established in the 9th century, this 900 km route has remained constant for over 1,000 years. The monumental Cathedral of Santiago de Compostela at the end of the route is believed to hold the remains of the apostle St. James after being carried by boat from Jerusalem. It is impossible to over estimate the influence John Bunyan’s classic has had on the English-speaking world. Published in 1678, the book allegorizes the story of the everyman named Christian who travels through the Slough of Despond, Vanity Fair, and the Shadow of the Valley of Death (among other places) to eventually arrive at the Gate of the Celestial City. John Bunyan spent 12 years in prison because he refused to stop preaching the gospel; he was a layman who was deemed unfit to teach, but of course that didn’t stop him. Even though he was indeed a ferocious preacher, his greatest impact came from his writing — particularly with his emphasis on the literacy of the layperson — which continues to have influence centuries later. Photo (Flickr CC) by O.F.E.. Originally published in Issue 19 of Converge Magazine. studied theology at Regent College and is currently a science researcher in London, Ontario, where he lives with his wife and one and a half year-old son.